To provide examples of how inclusive language can be implemented in a syllabus that instructors can either cut-and-paste into their own syllabi or use as a model which they can adapt or supplement with their own words. To implement inclusive pedagogical practices in syllabus language and construction. To attend to student needs and identities in inclusive ways that are sometimes overlooked in department boilerplate language. A class syllabus is not only a record of assignments and activities; it is also a representation of who we are as instructors and the goals and ideals we wish to share with our students. The policies we choose to include in our syllabus – and the way we frame required policies – reflect our values, and convey to students how we see them as learners and citizens in our classroom. For that reason, and where we have the latitude to do so, it can be useful to frame these policies in our own voices, rather than simply using department boilerplate language, thereby giving students an accurate image of how we would like to work with them. Some departments require specific language (such as the institutionally mandated statement on Disability and Accommodations) be included in every syllabus. Those statements can be supplemented but must be included in their entirety on every syllabus. Clarify with your department what must appear on your syllabus. Persons who have religious or cultural observances that coincide with this class should let the instructor know in writing (by e-mail for example) by [date]. I strongly encourage you to honor your cultural and religious holidays! However, if I do not hear from you by [date], I will assume that you plan to attend all class meetings. The readings, class lecture, and my comments in class will suggest a particular point of view. This perspective is my own and does not have to be yours! I encourage you to disagree with the ideas in the readings and lectures as well as the perspectives of your colleagues in the course. Please express yourself!! A significant part of a college education is learning about the complexity of various issues; therefore, it is important that we listen and respect one another but we do not have to agree. A richer discussion will occur when a variety of perspectives are presented in class for discussion. If you think you need an accommodation for a disability, please let us know at your earliest convenience. Some aspects of this course, such as the assignments, in-class activities, or the way we teach may be modified to facilitate your participation and progress. As soon as you make us aware of your needs, we can work with you, the Office of Services for Students with Disabilities, or the Adaptive Technologies Computing Site to help determine appropriate accommodations. We will treat any information about your disability with the utmost discretion. 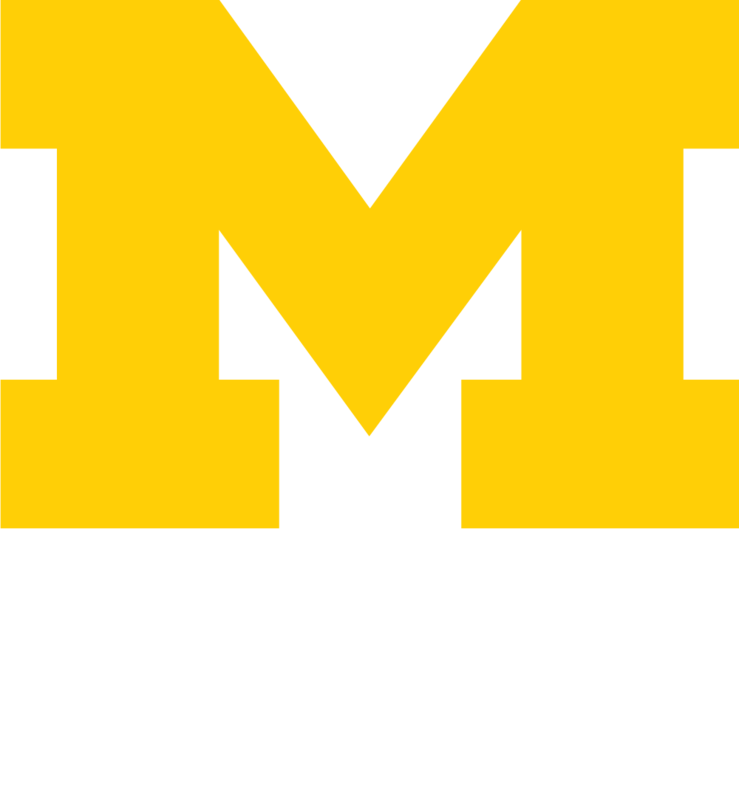 University of Michigan is committed to advancing the mental health and wellbeing of its students. If you or someone you know is feeling overwhelmed, depressed, and/or in need of support, services are available. For help, contact Counseling and Psychological Services (CAPS) at (734) 764-8312 and https://caps.umich.edu/ during and after hours, on weekends and holidays, or through its counselors physically located in schools on both North and Central Campus. You may also consult University Health Service (UHS) at (734) 764-8320 and https://www.uhs.umich.edu/mentalhealthsvcs, or for alcohol or drug concerns, see www.uhs.umich.edu/aodresources. For a listing of other mental health resources available on and off campus, visit: http://umich.edu/~mhealth/. Class Conduct: A positive learning environment relies upon creating an atmosphere where diverse perspectives can be expressed, especially in a course that focuses on pressing and controversial social and political issues. Each student is encouraged to take an active part in class discussions and activities. Honest and respectful dialogue is expected. Disagreement and challenging of ideas in a supportive and sensitive manner is encouraged. Hostility and disrespectful behavior is not acceptable. Just as we expect others to listen attentively to our own views, we must reciprocate and listen to others when they speak, especially when we disagree with them. However, in this class, our emphasis will be on engaging in the mutual exploration of issues as presented in the course readings as scholars rather than in defending points of view we have formed outside the classroom. In order to learn, we must be open to the views of people different from ourselves. In this time we share together over the semester, please honor the uniqueness of your fellow classmates and appreciate the opportunity we have to learn from one another. Please respect each others’ opinions and refrain from personal attacks or demeaning comments of any kind. Finally, remember to keep confidential all issues of a personal or professional nature that are discussed in class. Attendance and participation are highly important in this [small, collaborative, seminar-style] class. If you must be absent because of an emergency or illness, please make every effort to speak with me about it beforehand, if possible, or after the next class. I will excuse such absences with a doctor’s note or other form of official documentation. Please notify me of absences due to religious observance or University sporting events as soon as you can, or by the third week of the semester. Keep in mind that more than two unexcused absences will begin to affect your final grade. I am committed to the principle of universal learning. This means that our classroom, our virtual spaces, our practices, and our interactions be as inclusive as possible. Mutual respect, civility, and the ability to listen and observe others carefully are crucial to universal learning. Active, thoughtful, and respectful participation in all aspects of the course will make our time together as productive and engaging as possible. I will give you midterm feedback on your participation. If you have a particular need, please arrange a meeting with me so I can best help you learn in this course. I will treat as private and confidential any information that you share. I also suggest you contact Services for Students with Disabilities (SSD) at the start of the semester. Please ask SSD to forward any necessary information to me. The LSA Office of Academic Affairs defines plagiarism as “representing someone else’s ideas, words, statements or other work as one’s own without proper acknowledgment or citation” (see https://lsa.umich.edu/lsa/academics/academic-integrity/academic-misconduct.html). New writing challenges can tax your writing fluency, and entering new academic discourses can test your abilities to synthesize and take ownership over source texts and concepts. My job as instructor in this course is to help you through these obstacles so that you can find your footing as a writer in new domains. Your job as a student is to keep the faith, so to speak, and work through these new domains until you regain confidence. This work requires patience, planning, and focus. Much plagiarism occurs as a result of a lack of care in regard to reading, note taking, and citation practices, or from procrastination, and/or panic. Care, timeliness, and communication will eliminate most of the risk. If you have questions about whether or not you should give credit to a source in your work, you may clarify it with me. In general, though, I recommend always the citing sources you have consulted as well as those you borrow from directly. If you are having difficulty with an essay, please contact me right away! That’s what my email address and office hours are for. Adapted for use by CRLT, University of Michigan.